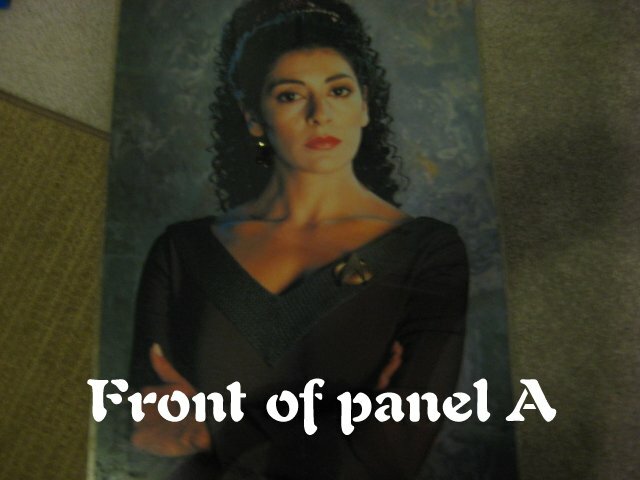 Below are 3 panels and 2 autographed images. The panels are a clever production (made by a vendor at a New York convention.) They are made by extracting a magazine's centerfold (even quarter fold) and laminated in plastic. Thus, if you look carefully, you will see the holes made by the binding staples. 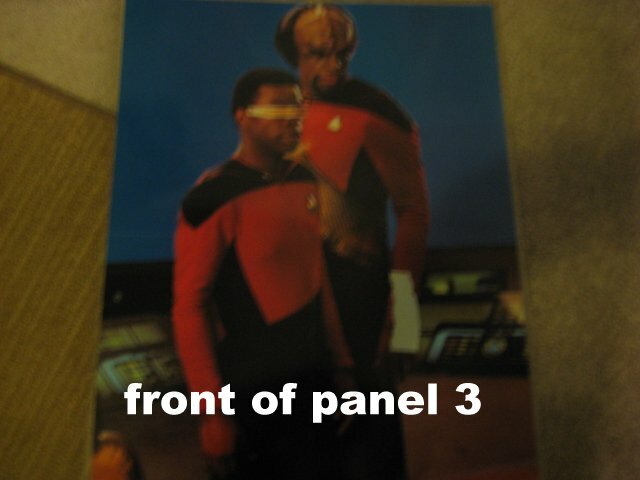 On eBay this package is titled Star Trek TNG Photo Set. Buy now is set at $60. But I will sell them at whatever the auction comes in at. 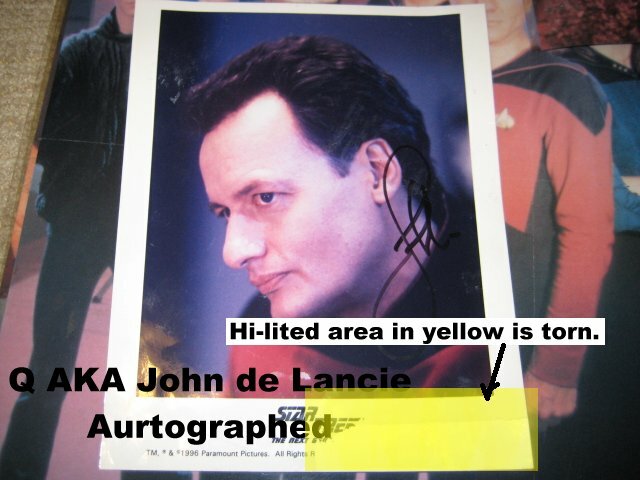 Frameable, autographed photo of "Q" Actor John de Lancie. Bottom right top layer of photo was torn off while removing tape. Actual photo is unharmed. 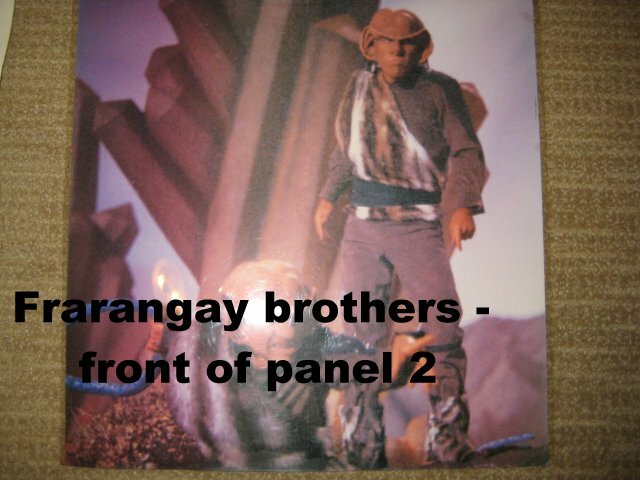 actual photo is 6.75" x 8.25"
There are 4 glue (now baby-powdered) spots on the back used for mounting during shows. 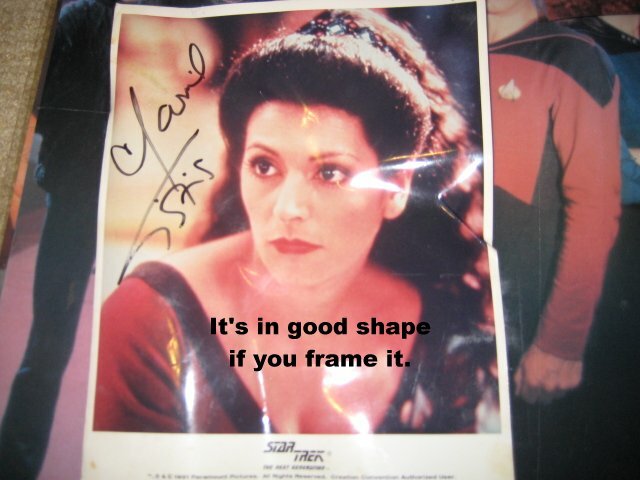 Autographed photo of "Troy" Actress Marina Sirtis. If you frame this under glass it is in very good condition. If you leave it as it is, it's all bent out of shape, during a move recently. No damage, just wrinkled, and not seriously. 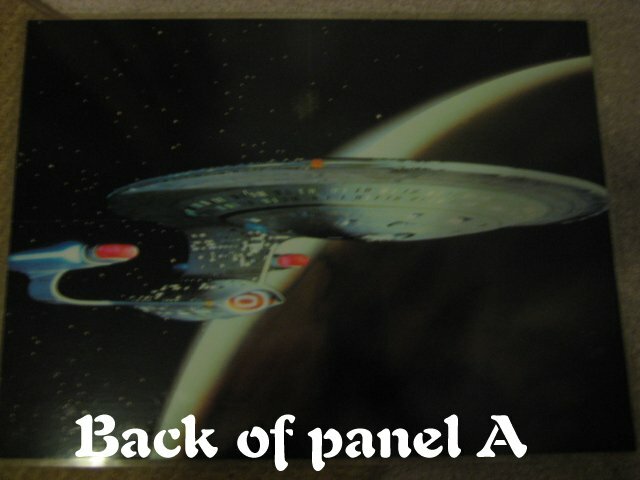 Panel 1 is in really nice shape - especially the back. Measures (Looking at Troy) 16" x 21.5"
Panel 2 is in 'OK' shape. 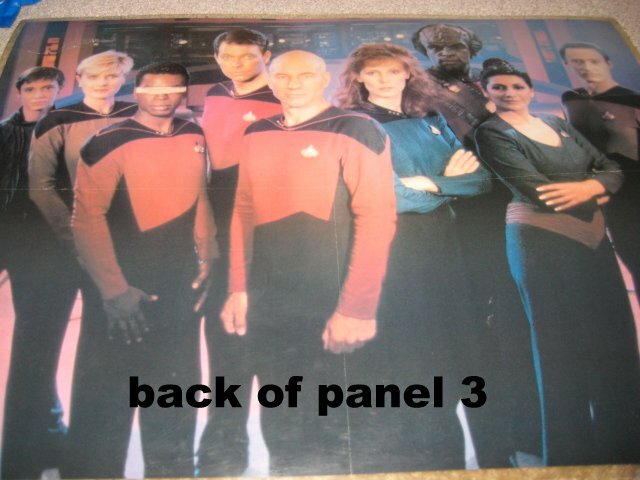 The bottom border of the laminate was cut off to fit in a display box at a convention. Otherwise it's in good shape. 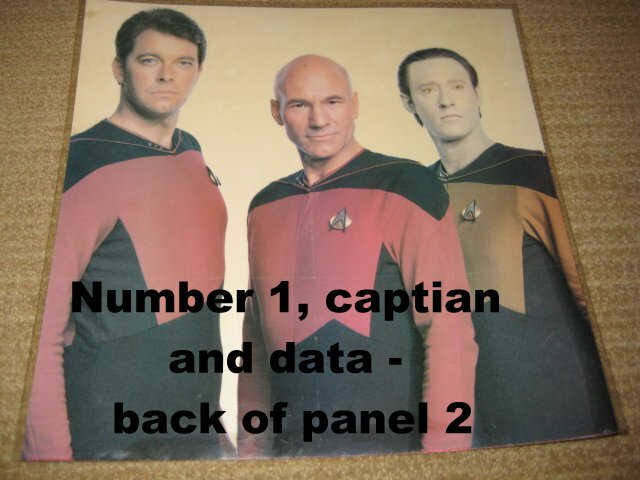 Measures 16" x 16"
Panel 3 is in the best shape of them all. Good that it features the entire crew -right? Measures (Looking at Crew) - 21.5" x 16"